Day 16: Made it to Amelia Court House, VA! Whew! Talk about a long day. This is what happened today. I woke up this morning with so much administration stuff to do. I got it all done but then I had to wait around for the media. Here’s the kicker; the media did not show up. Let me explain to you how God set this thing up today. Last week I got off my route by 138 miles. I went through Reidsville, NC when I met this nice reporter name Latayla Payne. Ms. Payne did a wonderful story for her newspaper adn emailed me a copy. Guess what? No, that’s not it. Here’s what happened today. No reporter showed up. How about this, the reporter let me write my own story today. All of yall should know by now that I am about as dumb as a bag of rocks. But I do have a little common sense. I took the story Ms. Payne wrote last week and did a little cut, copy and paste. Below is the story. I told yall I may just change professions. If you were on U.S. Highway 360 East between Keysville and Burkeville last Wednesday, chances are you saw a man in a bright, yellow hat with a yellow shirt and yellow arm bands walking with traffic. His name is Leonard Pitts. And heâ€™s walking to raise half a million dollars for the USO to support the active military and their families. 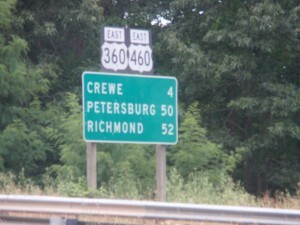 Pitts said he began his journey on foot in Clinton, S.C., at the beginning of this month. Heâ€™s walking to raise awareness about the United Service Organization (USO) and what the organization does to help troops and their families. He will walk to Washington, D.C., and expects to reach his destination on June 25. When he arrives, he will have walked around 500 miles. He said the VAMortgageCenter.com contacted him last August and wanted to work with him and his realtor business. After doing some research on the military and veterans, Pitts said he discovered some staggering statistics. Pitts said as he continued to read the report, he really felt the need to help in some way. He said he saw many other fund-raisers that involved running marathons and other activities, so he looked to other methods of fund-raising. Pitts trained for about six months by walking practically everywhere. He walks an average of 18-23 miles per day, although he said heâ€™s gone over that amount several times. Pitts said the USO relies on the generosity of the public, organization and corporations to support its activities. I am standing on this same foundation Pitts said. Generosity was something Pitts said he wasnâ€™t expecting but has received from so many different organizations and people along the way. 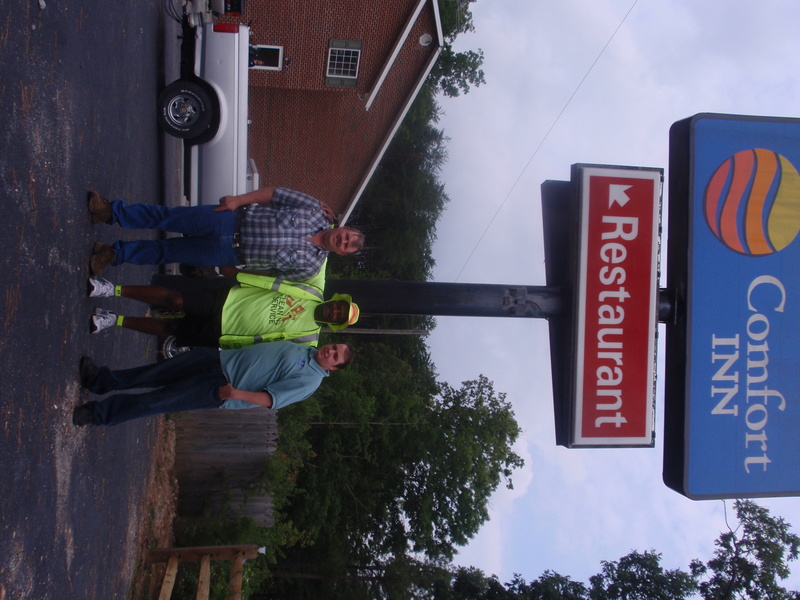 When Pitts first entered the town of Burkeville he was greeted by Janeal who owns a fruit stand on hwy 360. Pitts said she gave him something to drink and two delicious peaches. Pitts also said when he finally arrived at his destination, The Comfort Inn, the generosity here was so overwhelming he almost cried. â€œThey took me in with open arms, donated me a room for the night and not only that, Rocco Rotondo, the manager fed me and washed my dirty laundry. â€œIt was so much for me to handleâ€, Pitts said. Paul Ward, the owner of the Comfort Inn, told Pitts it was an admirable thing he is doing and he supports our troops and the USO, â€œPitts saidâ€. You can follow Pittsâ€™ progress on his blog at www.lpitts.com. There is also a USO logo on his site to donate to his cause. All donations go directly to the USO and it is 100% tax deductible. His blog reported he made it to Burkeville on Wednesday and his route says heâ€™s scheduled to travel from Burkeville, VA to Amelia on Thursday. 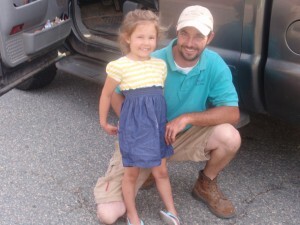 To learn more on how you can help Pitts, you can call him at 864.449.6197. Upon reaching his final destination, he will deliver an executive summary of his mission to the White House that includes a proposal for a national day of celebration to recognize active members of the military. Is that a good story or what? My got got started late, around 11:30. I really did not feel like walking today. The forecast said rain but God’s report said do not worrly about it and I did not. About 21 miles to my destination. This was the longest day. I am sore, my feet hurt and I finally have this big ugly blister on my heel. 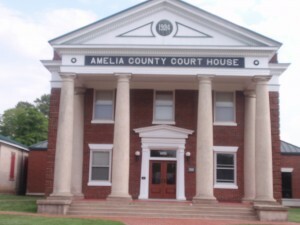 Patton and her father took me to Amelia Court House and dropped me off. 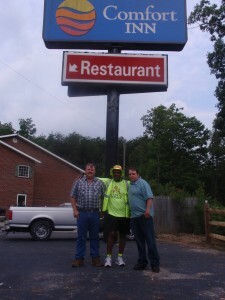 Pastor Patten of the Hope Chapel is donating me a place to stay and he bought me dinner @ Hatcher Dining. The video will tell the rest of the story for today.